This feature will include 2 or more short reviews featuring these non-review books. I absolutely will still do longer reviews on personal choice books, but this feature is to showcase a couple books that I have read throughout the month or so. Now with the introduction out of the way, let's get to it! Okay folks, I am just going to get this out of the way now; This is my first Stephen King novel. I own a few, but have yet to crack them open. I work at a Bookstore, and this one was moving quite well, and with Halloween right around the corner, temptation got the best of me! I was really, really disappointed with this novel. It seemed that it dragged on and on about some of the most unnecessary details. It started to become really mundane. I was approaching page 100 and the story line was still yet to kick off. 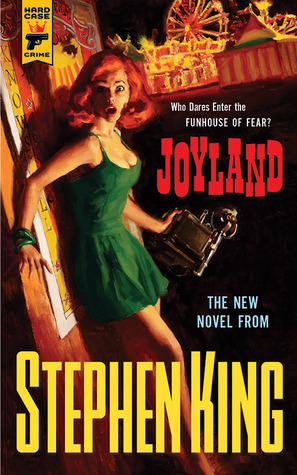 He was still in the midst of painting the picture of Joyland. By the time I reached halfway through the novel I was bored and frustrated. I know sometimes I won't always find the perfect balance between Characters and Plot, but both of these qualities severely lacked. In the end, I did push through it, and unfortunately there were no redeeming aspects. This book wasn't a win for me, however it won't turn me off of reading Stephen King. I still look forward to cracking open Carrie and The Shining! I know, could these 2 books be anymore different?! 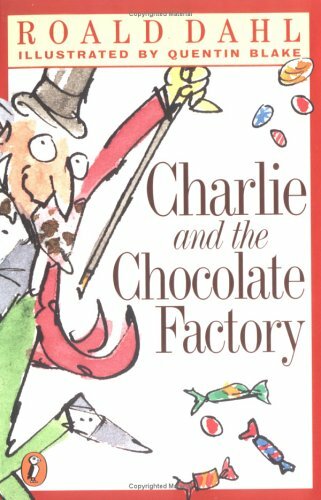 I read Charlie and the Chocolate Factory when I was just a wee little bookworm, although I know the story well from the films, I don't remember how my reading experience was with this one. Perusing the local used bookstore, I found a BEA-UTIFUL hardcover 1965 edition, and I could resist; Initially buying it to read to my niece. Well, that fizzled quickly! I had already devoured the first 4 chapters before reaching my front door! This novel took me back to being a kid again. Reading such simple text, yet being completely whisked away by a vibrant, colourful story; Not to mention the beyond amazing characters that Dahl crafted. Almost finishing this book in one sitting, it completely took me by surprise. I had forgotten how truly awesome Roald Dahl was. He took me back to my childhood, and re-introduced me to the beautiful man that is Mr. Willy Wonka! Thanks God, I found somebody who read the book AND watched the film. Could you please help me see the difference between them? I have to write a project for Film studies. Will be really grateful. Thanks.